There are days as a Christian when I really enjoy a good laugh with my friends. This past Sunday was Communion Sunday, and I couldn’t help but smile as the plate of bread and the little cups of wine were passed around. You see, before and after enjoying and revering in the sacrament of Communion, I had the opportunity to discuss Communion with a few close friends. That got me to thinking about how to NOT take Communion. I believe that God does enjoy a little humor, and I think all folks that take the sacrament can smile at these little nuances. 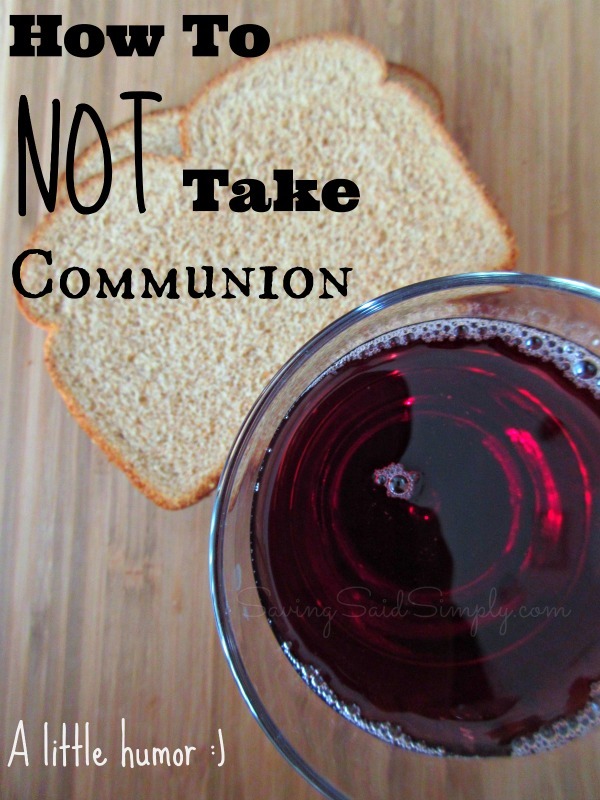 So here we go….How to NOT Take Communion. I didn’t realize how much I lied everyday. It’s bad. Really bad. Shoveling out lies left and right. It’s September, which marks the 3 year anniversary of Saving Said Simply, my blog “baby.” Blogging has been a happy and yet difficult journey for me, so I just wanted to set the record straight. There’s a lot of talk out there about bloggers. Perceptions, misconceptions, attitudes and some ugliness. Yes, I’ve probably heard it all. And if you had displayed for me all of this lovely “baggage” that owning, creating and being the CEO of a blog when I first started, I probably would have stopped right there. I would have stayed at my part-time job, maybe went on to have 4 more kids, and never would have used social media for more than checking in on my friends and family. 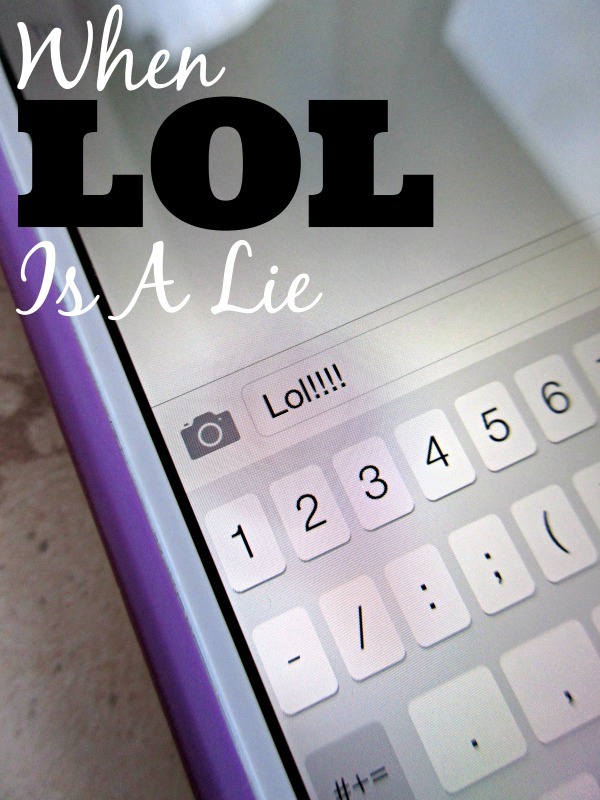 I’m writing today with 20 blogging myths. These are myths that I have dealt with, struggled with and and still fighting against. This post is partly for me, to demonstrate the hardships, obstacles, and joys that I have faced in my 3 year journey so far. This post is partly for you, those wondering, exploring struggling with blogging yourself. But at any rate, I am celebrating my 3 years with Saving Said Simply with 20 Myths I Had About Blogging. If you’ve been watching the page, there’s been a lot of buzz around these Target posts lately. Pretty fun to see what us ladies think about while we’re sucked into the Target vortex, right? Well, I think getting into the mind of a toddler while at Target is much more fun. So, I recently shopped with mine for the inspiration for this post. 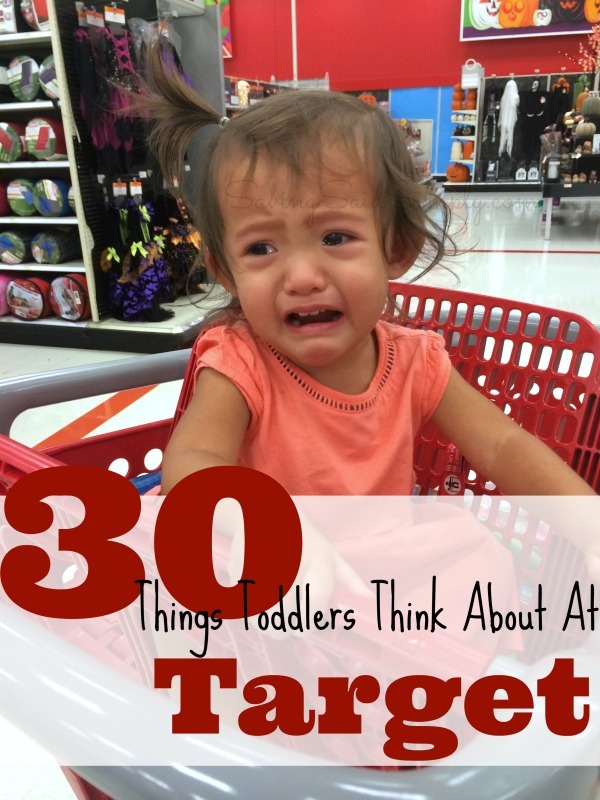 30 Things Toddlers Think About at Target. Let me know if you agree. 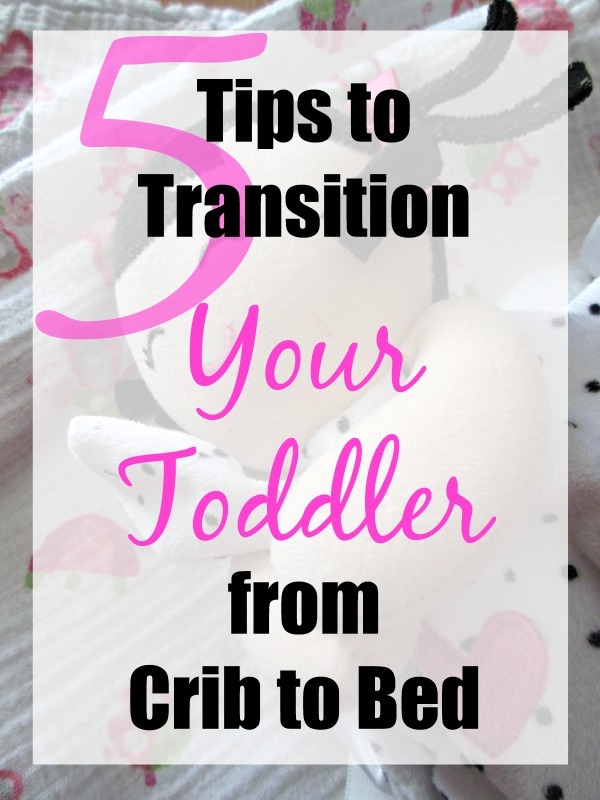 I think one of the hardest transitions for me as a mother, moving my kids from baby crib to toddler bed. The thought of my kids falling out of bed and waking up, the horrors of them waking up and playing with matches, or running out into the street. I wish that I could do more to know that my girl is safe while sleeping in her new bed at night. Don’t try to stray from your usual bedtime routine because of the change. Kids have a way of sensing change, which could lead to stress and a more difficult transition. Be gentle but firm and keep your bedtime routine as “normal” as possible. I don’t think I’ve met a parent yet that hasn’t faced sometime of bedtime challenge. Adjusting to a toddler bed produces a new struggle. Expect transition challenges and try not to get frustrated/overwhelmed. Realization can help you to conquer the challenges together! As with any new learning experience, parents and kids need an adjustment period. Patience, love and understanding are key to this transition. Give your child time to achieve this big milestone and adjust to their new bed. We focus so much on making sure that our kids adjust well that we forget about our own transition. Parents need that love and support when transitioning their children from crib to bed just as much as our children. Having a reliable video monitor gives me peace of mind at night so we can all get a better night of sleep. 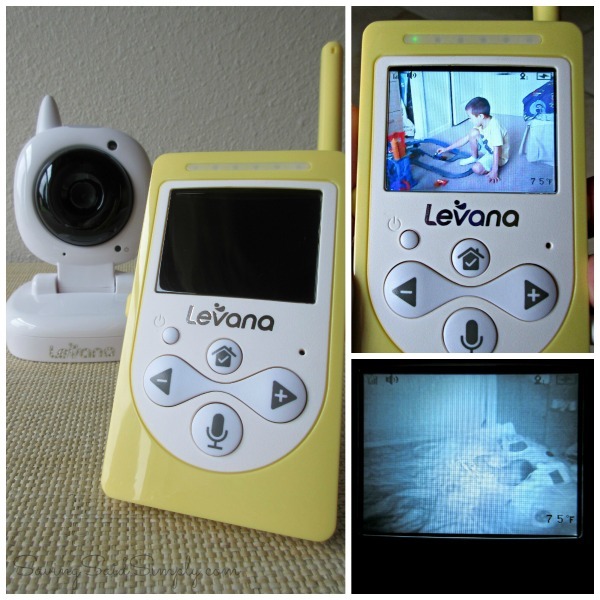 The Levana Sofia Video Monitor provides all of the comforts I need when it comes to making toddler bed transition as smooth as possible. 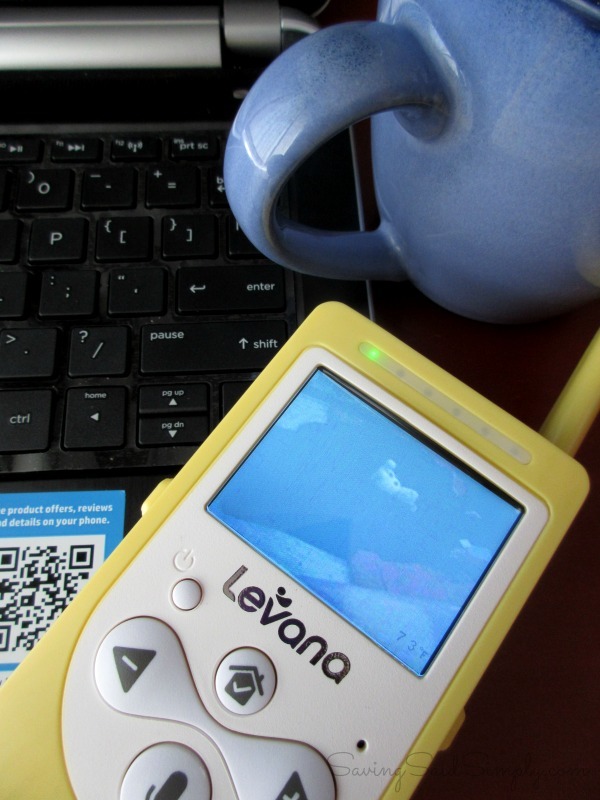 Follow Levana via Facebook for new products, updates, tips and more. 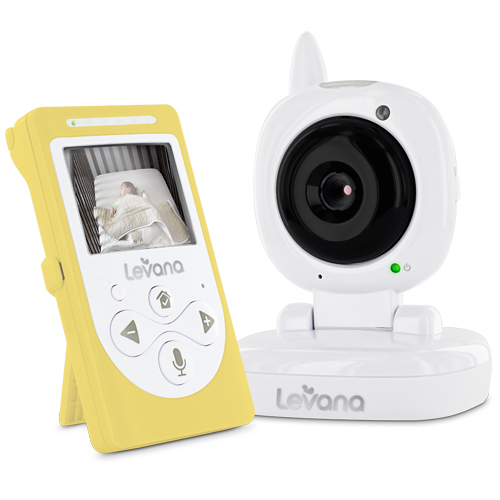 Having a high quality video monitor allows me to Do More, knowing that my little girl is safely sleeping under the protection of my Levana Video Monitor. And that makes the transition so much easier for me…and my sweet girl. 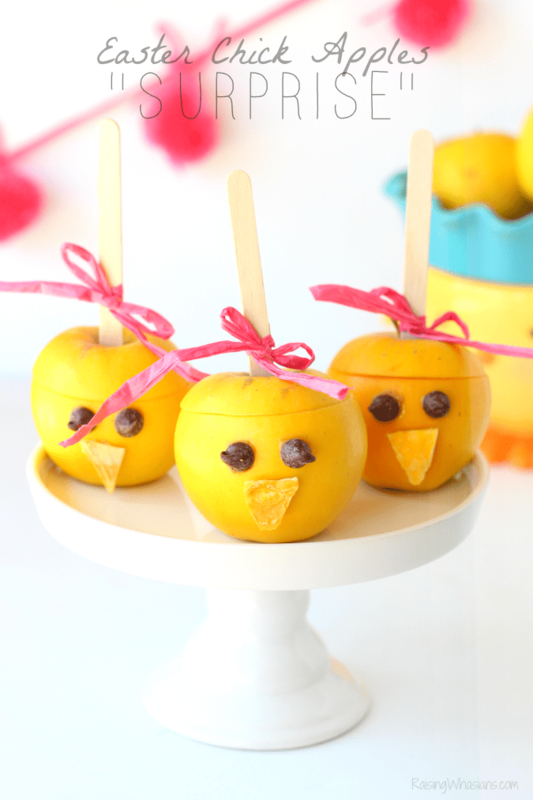 Blog conferences. They’re intimidating. They’re big. And they are full of people. 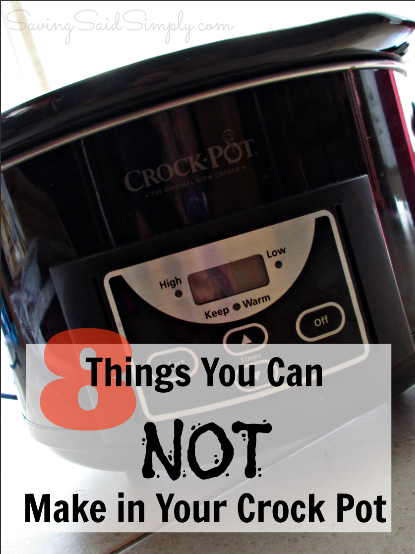 But they’re also a necessity if you are looking to grow your blog. Now having a few conferences under my belt (Thanks Type-A and FL Blog Con), I think I am at liberty to say what bloggers should consider wearing to a blog conference. Whether your first conference of your 50th, making sure that you are looking and feeling your best the WHOLE time is important! 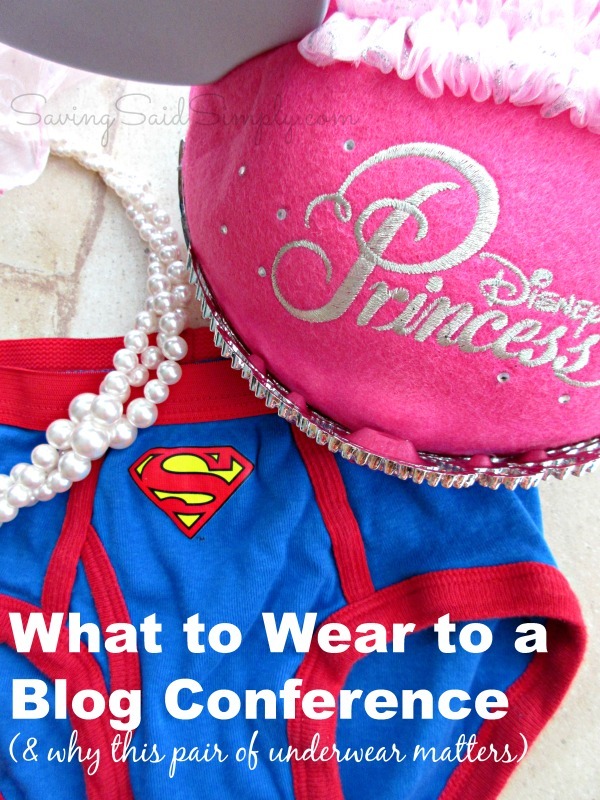 Here’s my top 5 things you need to wear to a blog conference. And yes, that pair of undies matters. This statement hits me hard as a small meek little girl stands in front of the mirror. Analyzing every feature, criticizing every difference. I got called the dreaded “Chinese Squinty-Eye” girl at school again today. The words hit me like a thorn in the side as I look closer at my eyes again. I try to open my eyes more. Can I make them look less squinty? Can I stick the bridge of my nose out further? Would my mom let me get a perm? Wonder what my hair would look like blonde. Can I get blue contacts, stuff my bra, buy clothes from Abercrombie (yes, that was popular)? School was hard, really hard at times. Growing up in an upper middle class town with maybe a 0.00003% Asian population, people are mean. Mean Girls existed before the movie. Those memories are still stuck with me, no matter how hard I try to erase them. They feed on me when I have a hard day. When I feel alone in the world. When I got in another argument with my husband, my kids, myself. But you know…all these years I thought not being like them was so awful. All that wasted time in front of the mirror trying to make my face look like someone else’s. I’m Asian. I have almond shaped eyes, a flat nose, straight black hair and olive skin. I can’t change that. But I can love it. I can embrace it. I’m not like them. Not one bit. Be sure to follow Saving Said Simply via Facebook, Twitter, Google, Instagram, Pinterest and YouTube for more of my personal thoughts. Who are Rugby and Reme? These dogs are fun, adventurous, inquisitive pups with their own apps, fun coloring pages, great merchandise, learning programs, and free online games and story books. They even have two films just out of pre-production! Fans of animation will enjoy the imaginative and adventurous stories created out of love for two real Bernese Mountain dogs. 1) Book Prize Pack — “The Ancient Adventure Begins” aka The Adventures of Rugby and Reme Book 1; 1 set Meet The Characters Playing Cards; 1 10” fabric Frisbee. 2) Movie Book Prize Pack — Rugby and Reme Movie Book DVD Books 1 & 2; 1 set Meet The Characters Playing Cards; 1 10” fabric Frisbee; Children’s Logo Baseball Cap. 3) Fun Prize Pack —“The Ancient Adventure Begins” aka The Adventures of Rugby and Reme Book 1; 1 set Meet The Characters Playing Cards; 1 10” fabric Frisbee; Children’s Logo Baseball Cap. 4) New Friends Prize Pack — Small Rugby Plush Toy; Small Reme Plush Toy; Children’s Logo Baseball Cap; 1 set Meet The Characters Playing Cards; 1 10” fabric Frisbee. 5) FaceBook Prize Pack —Small Rugby Plush Toy; Small Reme Plush Toy; “The Ancient Adventure Begins” aka The Adventures of Rugby and Reme Book 1; 1 set Meet The Characters Playing Cards; 1 10” fabric Frisbee. 6) Grand Prize Pack — $100 Visa Gift Card; Small Rugby Plush Toy; Small Reme Plush Toy; “The Ancient Adventure Begins” aka The Adventures of Rugby and Reme Book 1; Rugby and Reme Movie Book DVD Books 1 & 2; 1 set Meet The Characters Playing Cards; 1 10” fabric Frisbee; Children’s Logo Baseball Cap. 1. Share about this party on two social media platforms of your choice like Facebook and Twitter. 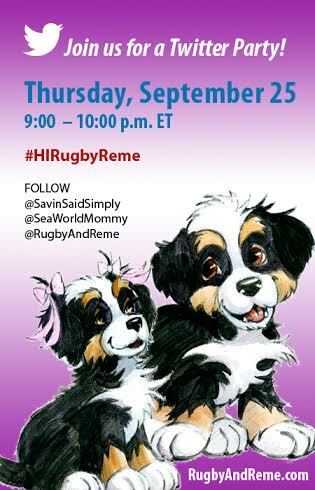 Sample Facebook Update: “Join the conversation on friendship, pets, and animated film at the #HIRugbyReme Twitter Party on 9/25/14 at 6 pm PST/9pm EST. 3. Tweet during the party (Thursday, September 25, 2014 at 7 pm PST; 8 pm CST; 7 pm EST). 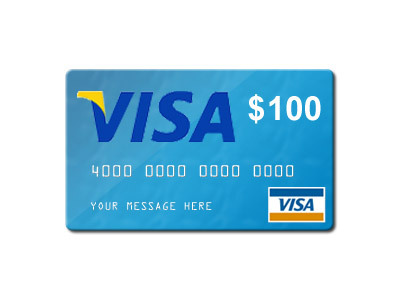 Every tweet is an entry to win! Don’t forget to use the hashtag in every post so it’s counted, and remember to add the Q# so we know which question you’re answering. 4. http://bit.ly/RRTParty Fill out this form so we have your info. 5. To RSVP, leave a comment below that includes the Twitter handle you’re using at the party (and entered on the form). Include links to your two posts (on whatever social media channels you’ve chosen). No really, comment now that you’ll be there! Did you know that this week marks National Child Passenger Safety Week? I could not help but be affected as I travel with the most precious cargo in the back seat of my car everyday. Making sure that I have the proper equipment and the proper knowledge to keep my kids safe this week and every week is so important! Ford Motor Company is supporting National Child Passenger Safety Week (Sept. 14-20) with the National Highway Traffic Safety Administration and the U.S. Department of Transportation in an effort to promote vehicle safety for children. 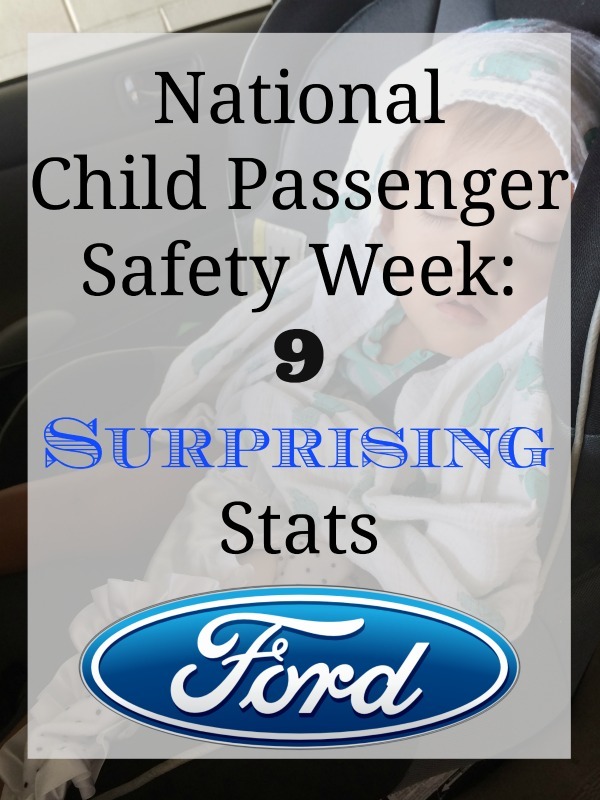 Here’s 9 surprising statistics regarding National Child Passenger Safety Week that you should be aware of!